The all in one kit for Fire Wardens. This kit includes everything you need for a fire drill and conforms to the Regulatory Reform (Fire Safety) Order 2005. 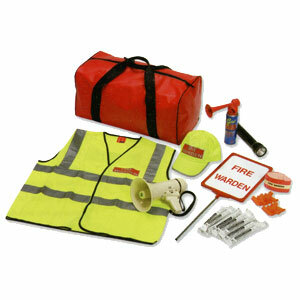 The fire warden kit comes supplied in a durable red carrying bag.